Category Archives: Teacher Shout Out! YAY for long weekends! I could use a little extra sleep this weekend with the chilly weather coming in and three young boys adjusting to Daylight Savings Time, how bout you? 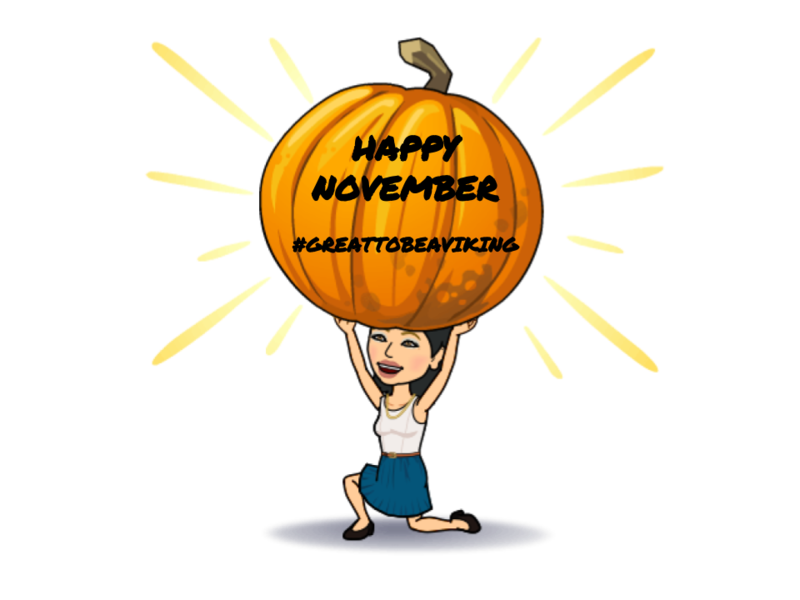 As November is upon us, and we have disjointed weeks with Veteran’s day, Thanksgiving, and Central School Conferences, my calendar starts to slow down a bit. It seems we start to get tied down to all of the tasks that need to get done in this short month. 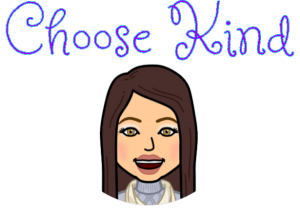 However, I would LOVE to see you, in your classroom, and show you how Peardeck runs (I’ll build you one), Flipgrid works (I’ll create the lesson), or any of the other great tech tools we have here in EB! Please check my calendar and book me to come in, even if it’s just to show off! Awesome job Megan Krugger and Kelly Hansen! These 8th-grade science teachers presented at the Massachusetts Association of Science Teachers annual conference last week on Debate in Science Education. They focused on GMOs, Fracking, and the Dakota Access Pipeline. It’s some pretty interesting stuff, with great lessons involved! I learned quite a bit just by reading through their presentation. Take a look at the website they designed for the presentation, it’s very impressive! Click Here. This is a great activity to modify and use with your students (click here), especially during this thankful time. This HyperDoc asks people what they are grateful for. Then, the answers are displayed in a word cloud or Padlet. The creator of this HyperDoc linked Answer Gardens to each question. 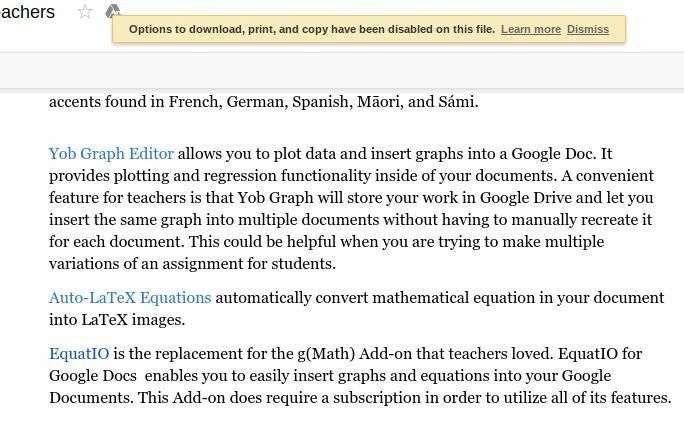 You could do the same, or link a Google Doc and share results with the class. The only issue I have with Answer Garden is you cannot tell who wrote what, leaving room for students to be inappropriate. If I were to modify this activity, I would link out to a Google Doc or Padlet where students can write their answers, allowing me to see who is writing what when I view the revision history. If you’re interested in this activity, but would like assistance or the original modified into a format you can use, please book me today! I would be more than happy to put this into a format you can use! 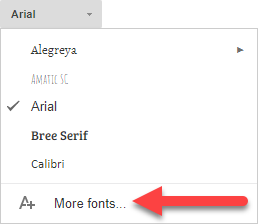 Then, to add a font to your choices, in your own docs, simply choose your font menu and click add more fonts. Enjoy this Ryan Gosselin SNL video about Fonts 🙂 HEHEHEHEHE! If you have been overwhelmed by Pear Deck in the past or found it cumbersome to create Decks then this post is for you! If you flat out LOVE Pear Deck, this post is also for you because it just got BETTER! Pear Deck has added an add-on for Google Slides. What this means is that now you can take ANY Slide presentation you already have, and add questions right to the slide. IT. IS. SO. GREAT. You can watch my video if you’d like, or you can read about it from Pear Deck by clicking here. If you’d like to see what Pear Deck is all about, I will gladly create a Deck for you and come in and present it to the students so you can see how it works. Lisa Grinkis did that last week, and it worked very well! Please just book me for the time to create it, and then if needed, for the time to come in and use it with the children. Lisa felt comfortable presenting it herself since she is an avid user of Pear Deck! Thank you, Megan Krugger for sending me this fun site to play with! If you’ve attended PD on infographics in the past, you may have seen Picktochart. This site is free (although does have a “level up” paid option) and allows you to create some pretty cool infographics. It has many templates, text boxes, images, “stickers,” graphics etc etc that you can use. It reminds me of sites like Shutterfly where you can REALLY get into making something. 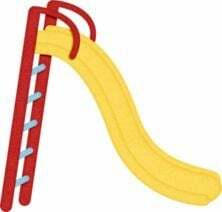 BEWARE, once you play with this, you are committed to HOURS of fun. I made an example below, which allowed for easy embedding (although large). This would be a great project for students to show their knowledge regarding a certain concept! Unlike Google Drawing (my app of choice), there are many templates that one can just insert information rather than start from scratch. Lastly, I had the wonderful opportunity to present and give an update regarding technology integration to the East Bridgewater School Committee on Thursday evening. You can check it out on EBCTV, if you’d like, and you can also access my presentation here. I LOVE showing off the awesome things you do! Book me to come in today and see it! I hope you’ve had a GREAT week! I’ve seen some great tech this week in classrooms, including the Cardboard Challenge down at the Middle School! What a FANTASTIC week to be a Viking! Check out some pretty cool tech integration below, and let me know if you want to “make some waves” in your classroom by trying some new tech tools! You can find my contact information in the “Contact” tab of the blog! Happy reading! Now, instead of just showing pictures of the planets, let the students travel there through Google Maps! This is really neat because you can zoom in, see craters, gasses, and features of every planet and moon that Google Maps has to offer. These are real photos of the planets and moons. Read about this latest update from Google about this cool new feature of Maps (click here)! Play with Google Maps by clicking here. Perfect timing Google! Just as I was gathering all of the MASSCUE photos, Google Slides came out with a new add-on that easily creates photo slideshows. These slideshows are also EASILY embedded into Google Sites. If you are one of the many wonderful teachers in our district who takes many pictures of students and wants a place to put them, this is a great option! See the how-to video below! I tried a few new tools recommended by Eric Curts on his blog, this week. I found two of them to be pretty good. Resoomer and Auto Highlight both assist in summarizing articles found on the web. Resoomer will cut the article down to the most important 30% (or so) of information and Auto Highlight will leave the article in its entirety, but highlight the most important points. Paired with a screen reader (like Select and Speak), these tools would greatly assist a nonreader in understanding grade level material. Thank you for allowing me to be a small piece of your awesomeness! I always love my job, and where I work, but this week has been one of the absolute best of my career. The annual MASSCUE fall conference was this week and it was the 35th anniversary of this incredibly inspiring event. Spending the two days with 27 Viking staff members, who are visionaries at what they do, filled my heart. Talking to teachers, technology directors, sped directors, and administrators from other districts while at this event left me feeling inspired and thankful to be in our district. 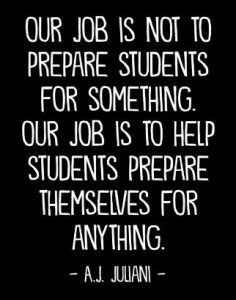 We are in an incredible time in education, and we are so fortunate to be in the place that we are. YOU are so amazing, and when we talk to other districts – many are in awe of YOU. Thank you for allowing me to be a part of that. I will share some of our pictures of this event next week, but this week – I’ll highlight our presenters below as well as two other AWESOME tech tips! Enjoy! MASSCUE OMG WE SAW THE PATRIOTS!!!! The Masscue fall conference was a wonderful event once again. This conference is the LARGEST conference-style event that Gillette Stadium hosts. East Bridgewater brought a record 27 staff members to the conference this year! Anyone who expressed an interest in attending, via the Google Form, was sent to the conference. It was a great two days, with a record number of staff members presenting and representing East Bridgewater. On Wednesday, we had our picture taken on the field! While waiting to return to the workshops upstairs, we were held in a waiting area with a security guard. The ENTIRE PATRIOTS TEAM walked by us, onto the field, 5 FEET AWAY! Tom Brady smiled and waved to us! Why do I tell you this you ask? Because maybe this little bonus will entice you to attend next year! When you attend MASSCUE, you leave feeling empowered, you leave with new ideas and you connect with others outside of East Bridgewater with a similar vision as you! It’s an amazing day, consider coming next year! Consider presenting – if you present you get to attend both days! You all do AMAZING things in your classrooms and buildings, and others love seeing it. MASSCUE is entirely teachers, administrators and school staff, interested in using technology some way in their practices – they would love to see what you do. Thank you, BETH BARRA for taking some great notes on Wednesday to share with staff. Beth teaches fourth grade and she has a few great tools in here that would work well for k-6 classrooms! Click here for this resource. Check out our EB presentations below! There is some GREAT stuff from AWESOME teachers in here! 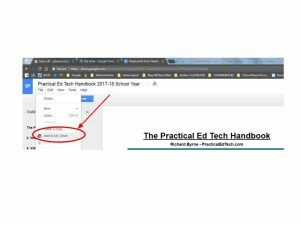 Richard Byrne, of Practical Ed Tech, posted an awesome document this week that features 25 Great Google Add-Ons for teachers. There are some great ones in here that include a list of canned comments you can choose from when grading writings through Google Classroom, a really cool Word Cloud add-on for Docs, and a rubric generator for Sheets. Check out (click here) this great breakdown of 25 (newer) add-ons and extensions! Make your DOC so it cannot be copied! WHAT?! I was reading my weekly email from Practical Ed Tech Blogger Richard Byrne this week. It was an awesome post which I referenced above. While I was reading an item he posted, I tried to copy and paste something from it and email to a colleague, referencing him of course. Docs wouldn’t let me copy it! It wouldn’t let me “Make a Copy” of the Doc either (I could screenshot it though)! 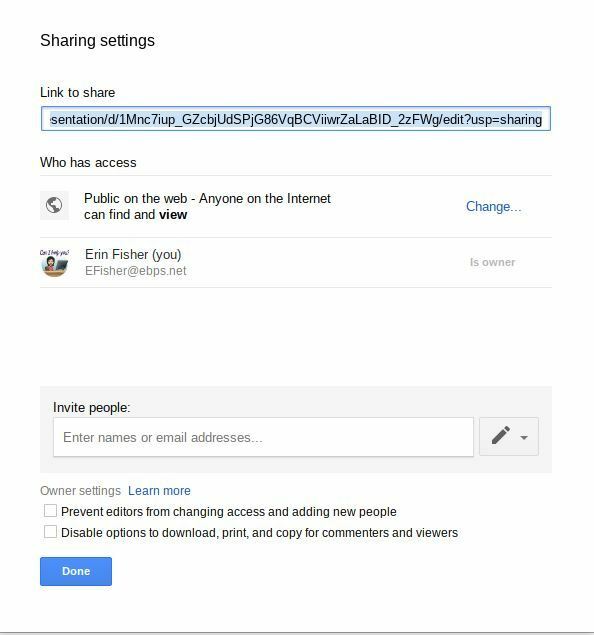 If you create a Doc, Slide, or any other G-Suite item, you can do this too! I had to research this magic and it was one of those simple little things that were there ALL ALONG. If you present on a particular topic or create a resource document, I would consider doing this. We don’t want anyone taking your work and claiming it as one’s own. Thanks for reading! 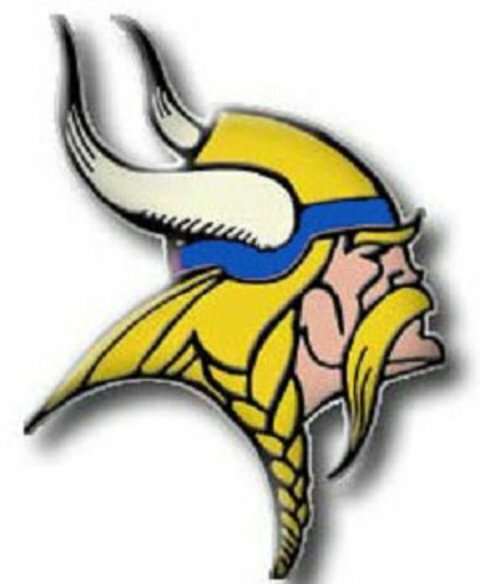 And THANK YOU EB – it’s truly GREAT TO BE A VIKING! This week I was honored to present at the SEAM BSU chapter meeting at Bridgewater State University. 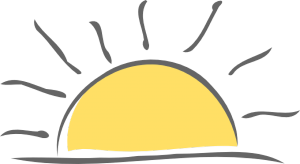 SEAM is the Student Education Association of Massachusetts and falls under the MTA and NEA. I talked about each and every one of you to the group, and showed off tools you’re using in the classroom to educate students. The SEAM group was mesmerized, eager, and astonished at all that you do. When we step away from our own roles for a minute and take a look at what we’re doing and what we’ve accomplished, it’s truly amazing. It’s easy, especially at this time of year, to feel tired and heavy. Teaching in the classroom can be isolating. The weather is changing, we’re go go going with our own lives at home, juggling families and school, managing our own adult responsibilities, we’re also trying new standards, curriculums, tech tools, and getting new students (STILL)…but keep doing what you’re doing. YOU ARE AMAZING and it shows! I wouldn’t be surprised if we get a record number of BSU student teachers in the spring, they were so impressed at all that you do! Thank you, Melissa Leonard, 3rd-grade teacher, for asking me this question. I went on a hunt to find the answer! There is actually a few ways you could do this, but I found the option below to be the most user-friendly. It uses the app PDF Mergy. Take a look, if you need to combine multiple files, not just from Classroom, to print. There are so many great ways to take partial area screenshots. Take a look at this short video tutorial of my three favorite ways. This is great tech that will help teachers and staff of all grade levels! Please just remember copyright law and fair use law when screenshotting. So many of us use Google Forms! It is such a versatile tool, and the best part is that it is always improving! Check out the article below from Richard Byrne for some cool add-ons to use with Forms that will make it even better for you! 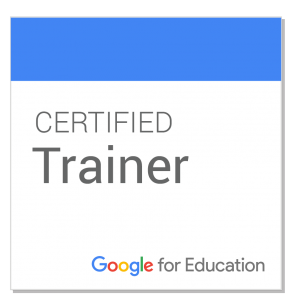 Have you ever been interested in becoming a Google Certified Educator? Wondering what that even means? Once you become a Google Certified Educator, you have access to the Google Forum as well as many other resources available only to trainers. You get the updates on anything new before the general public. The best part of being a GCE is being part of the forum and being able to ask questions of other Google Educators. You are listed in a database for those seeking trainers which can provide for other opportunities outside of the classroom. Plus you get the nifty little badge to put on your email. If you would like to see what certification entails, to be endorsed by Google, see the link below from my fav. blogger Eric Curts. FREE video service. Do you like making videos of your class using pictures and music? Do you find MovieMaker or the YouTube editor a bit difficult? Then you may want to try Typito. Richard Byrne did a great video how-to on this resource. It’s free and allows for many options when editing including putting text across pictures. 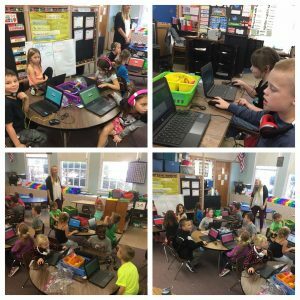 First grade is now on iPads and Chromebooks – how exciting! They really enjoyed their first experience with KaHooT! Thank you, Sarah Beberman and Beth Barra for sending me the programs you’re using for classroom typing practice. 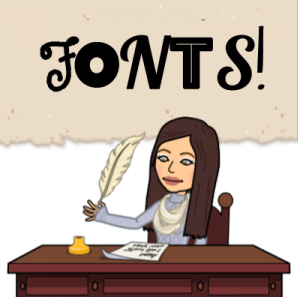 If you find your students need additional typing practice, after computer class where they also work on typing, Sarah is using Typing Club (click here) and Beth uses both typing club and Nitro Type (click here). Typing Club even includes “Touch Typing” which gives practice for typing on the iPads as well. This may be a good use of downtime in the morning before school or “while waiting” for everyone to get up and running on their Chromebooks. Google Slides recently had a major update! Now, it has an add-on menu, chart feature, skip a slide option, and tile view. Check out this video post to see the new features. One of the best new features is the ability to insert charts. You can now have students EASILY create timelines with the timeline chart inside Google Slides and that is just one of six (so far) diagram options! Do you ever close a tab accidentally? I do it ALL OF THE TIME! Here’s a VERY quick video to show you how to reopen that tab in the exact same spot where you left it! It’s basically an “undo” for internet tabs. Sometimes it’s the tricks that are so easy, that we forget to share them! What’s your quick trick? Share your trick in the comments below or send it to me via email! These little tricks help us all and together we are better! This week I had the most wonderful opportunity to present at Bridgewater State. You can view my presentation below, and you may find some helpful tools. You will notice Pear Deck Slides embedded into the presentation. This can now be accomplished with the Pear Deck add-on (see above blog post). Thank you to the IEP coordinators, James, and Special Education staff for giving a great presentation on our PD day. You’ll notice I used some of your content in my presentation. Have you caught the FlipGrid fever? If not, give it a try! This (free) program is EXPLODING all over the Twittersphere! Flipgrid started to gain momentum last year, and recently has just exploded! This is a great site/app that can truly be used at all grade levels, including PreK! 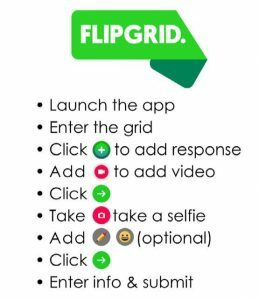 Picture a PRIVATE grid, that you can share with parents and/or students, that has little videos of a classroom activity, response to a prompt, quiz etc! You as the teacher/moderator control the grid. YOU decide what videos can be seen, and who can see them. I can’t say enough about this tool! Since it’s exploding everywhere, some of the top ed-tech leaders have created “how-to” guides. So, see below if you’re interested in using this fantastic tool! You can book me as well and I can come in and help you use it or film! Click here for a “how-to” guide. Don’t be fooled by the length of the guide, the font is really big. It’s a quick read. This catch of the day is a shout out to 3rd-grade teacher Kim Wolohojian, and her 3rd-grade team, for using Dojo App that contains the new, updated, amazing Toolkit! If you open the toolkit on a phone it will project to your computer for display. Toolkit is only an option on the phone app and can’t be opened by the computer itself (but they are working on it). There’s a new feature in the toolkit called “group maker” that lets you pair and group students at random similar to Flippity. However, unlike Flippity, Dojo has a do not pair together option! That means if you have two students or groups of students that don’t work well together, it will not pair them together when you randomize! How AWESOME is that??!! If you are not familiar with Class Dojo, click here for a preview. It is similar to the app Remind which I’ve seen widely used throughout the district. With DOJO, in addition to a family communication piece, where you can send text-updates and photos in a safe environment, you can also have a classroom management piece. Students have avatars and you, as the teacher, can award points. You can also take away points. The parents can see the management piece if you choose or it can be turned off to parents and only the texting option can be seen. I have this as a parent for my own sons, and I LOVE it. If you would like to see a great comparison of parent-communication apps, including Remind, Dojo and much more click here. 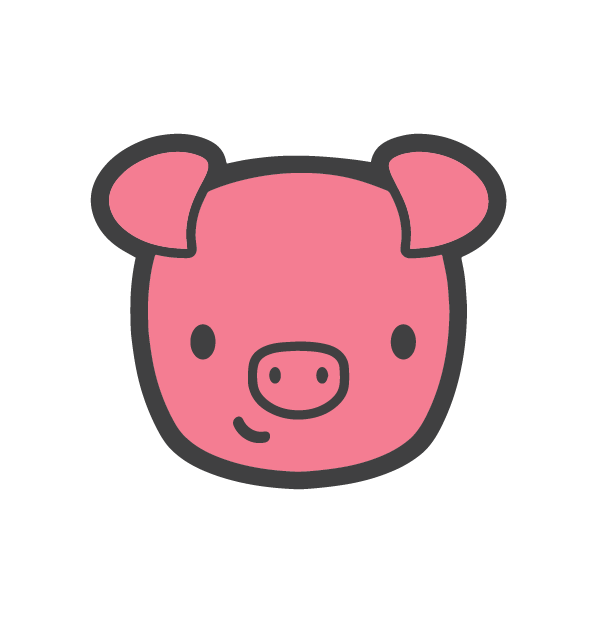 OMG, this is so cute (click here)! 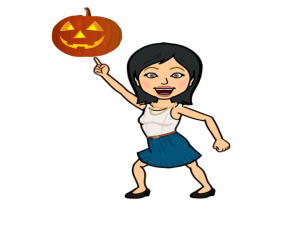 From Eric Curts (one of my favorite techies) – make a jack o lantern in Google Slides! The template is already created for you and students can use all of the images to create a digital Jack-O-Lantern. There’s even a writing component to the activity. You can alter the master anyway you would like, and then use Google Classroom to push it out to students. You could go one step further and have each student make a Jack-O-Lantern that reflects his or her personality, submit it to you and you could put them all in a master slide deck and have kids try to guess who’s is who’s. This is an AWESOME(click here) Hyperdoc full of all sorts of (free) Halloween activities. It is geared towards middle school, but check it out and you may find some activities you can use in your classroom. It has many interactive, appropriate, Halloween tech games, videos on the history of jack-o-lanterns and other traditions, an option to “Trollify” yourself (from Trolls the movie), a Halloween light show, and much much more! Please preview any items on the Hyperdoc before showing students. Shout out to School Committee member Aimee McAlpine who created this great resource (click here) on online book creators. A few 6th-grade teams plan to use these resources to create books to then read to their third-grade friends. For those of you who do not know Aimee, she is an Instructional Technology Specialist for the Marshfield Public Schools as well as a parent and school committee member. Thank you, Aimee! Another favorite techie of mine, Richard Byrne, put out free math resources that he enjoys. We’ve seen many of these before but I feel like I should always include posts on math tech. These resources span all maths, so take a look! The Geoboard is one of my favorite tools! This add-on is as silly as it sounds, but it’s still pretty cute! Take a gander and see how to “Lisa Frank” your Google Doc! Sometimes, it’s the little things that get kids excited to learn! This could be that “little” thing! If you’re wondering the best tech bloggers to follow (aside from me of course – lol) click here for the top tech bloggers according to Ed Tech Magazine. This is a great run-down and I follow many of these ed-tech leaders myself! 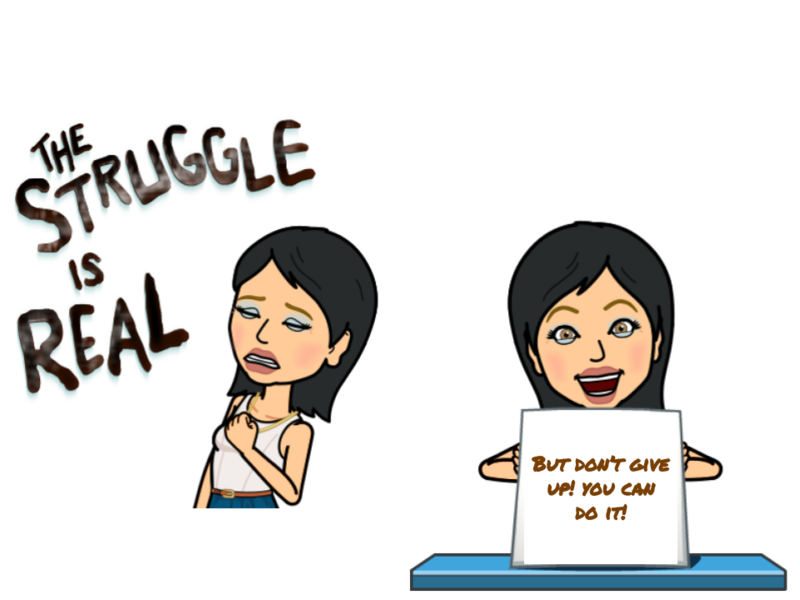 What’s great is that many of these bloggers provide FREE RESOURCES that they create and allow all to use. They are firm believers in the Teachers-Give-Teachers movement! I suggest finding just one to follow that is similar to your own field or interests, and check in on their blog or subscribe. You won’t regret it, I promise! 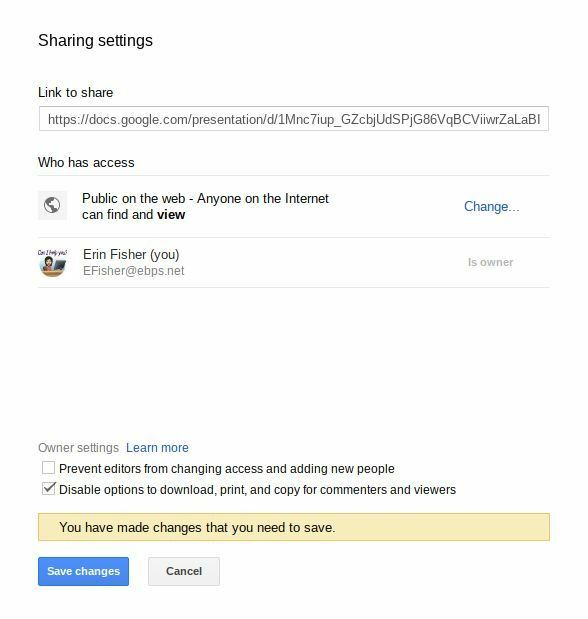 On Thursday, 9/27 at 11am, Google announced that it is launching add-ons for Google Slides. This is going to really transform Slides and allow much more versatility to an already amazing, FREE, product! You can read more about this release here. The rollout will start on 9/27, and continue over the next month, so you may not see the add-ons menu yet, but it’s coming. Guess who is going to be one of the FIRST add-ons….PEAR DECK! The BIGGEST fish in the small pond – Shout out Grade 2! A really big shout out to grade 2 teachers and students! 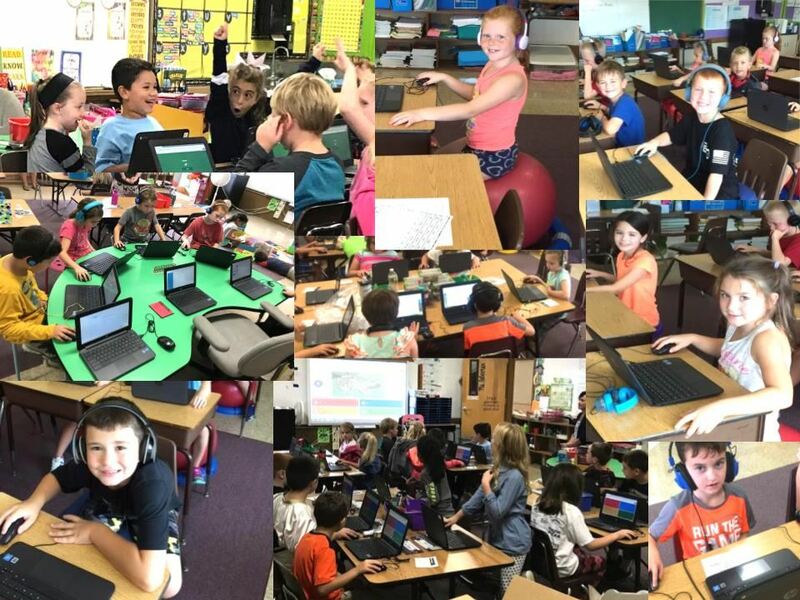 You all did such an amazing job getting on your Chromebooks this week and accessing many amazing programs and sites! I am so proud to say that ALL OF GRADE 2 PLANS TO USE GOOGLE CLASSROOM! This is simply amazing to watch our oldest, little Vikings using Google Classroom. My heart swells with excitement! I’ve enjoyed coming into each and every one one of your classrooms this week (and a few next week). You’re doing GREAT! Pear Deck add-on for Slides – WHAT?!!!! I KNOW IT!!!! OMG!!!! Gone are the days of importing a Slide presentation into Pear Deck and not having the ability to edit! Now, with the Pear Deck add-on for Slides, you can work directly in Slides to create your Pear Deck interactive presentation. Anyone using and/or creating Pear Decks knows how tedious it can be to import images and change backgrounds….No more!! This is great news! Please click the link below to really see the fine details with this add-on! It is AWESOME! Thank you to the fourth grade for showing me this amazing program! If you haven’t checked out Front Row, it is a great FREE program for grades k-6 (although it does go up to 8, and they’re adding High School math soon). Central school is using it this year and the children love it! This is a great program that can run in the background for skill development, and as the teacher, you really can have as little or as much to do with it as you’d like. It’s not too game-based, and it still has a motivator with “coins” and shopping in the Piggy Shop! It differentiates and levels children as well. See the video below to see it as a child…. You can do some pretty amazing things with Google Docs! By manipulating tables, and inserting drawings, you can create some pretty cool looking templates! Check out the video example below of Jen Rosher’s Newsletter which she created in Publisher and I was able to replicate in Docs. This now allows her to work on it anywhere since it’s in the Drive! If you would like a template to use for your own classroom please click here. Thank you Amy Schleinkofer for this one! She booked me for an appointment, and asked if there was a function within Google Apps that performed the F4 function in MS Word, Excel etc. On the hunt we went, and she discovered Control Y! Take a look at the video below! So simple, yet saves so much time! Hello Everyone! I hope you’ve had a great week. I had the most wonderful opportunity to start integrating technology over at Central with our Little Vikings this week! Great work Jen Rosher and Sarah Beberman in being the first to “dive in” and have me assist the children with using the Chromebooks! I’m so excited to be integrating with Central School this year! This was my BIGGEST find this week, and it came from another Google Certified Trainer from my certified trainers’ group. The extension VoiceIn allows students to dictate into all platforms, including Pear Deck, Kami, Forms, Slides, and Docs! This is an incredible tool for those needing assistive technology. It is the first tool I’ve seen that works across all platforms. Check it out on video here. If you’re an iPad classroom (PreK, K, and some of 1) you may want to check out the Quizizz app. It has a read-aloud option only on the Quizizz iPad app. Quizizz is great “quiz style” game that will give you awesome data at the end of the completed quiz. Students enjoy this app because it has fun music, cute pictures, and is game based. Quizizz also updated this summer and has GREAT Google Classroom Integration. You can see each student’s progress right from Google Classroom, and it will even show if the student took the quiz multiple times! Quizizz has many pre-made quizzes and questions in the bank online, so you don’t even need to create! It’s already there for you to customize! Students can play Kahoot Challenge Mode on their phones in a student-paced mode (not teacher paced, on the board). This may work well in some of our JRSRHS rooms where students are using phones for technology integration (while the Chromebook issue is being resolved). Click here to see a video on this mode. 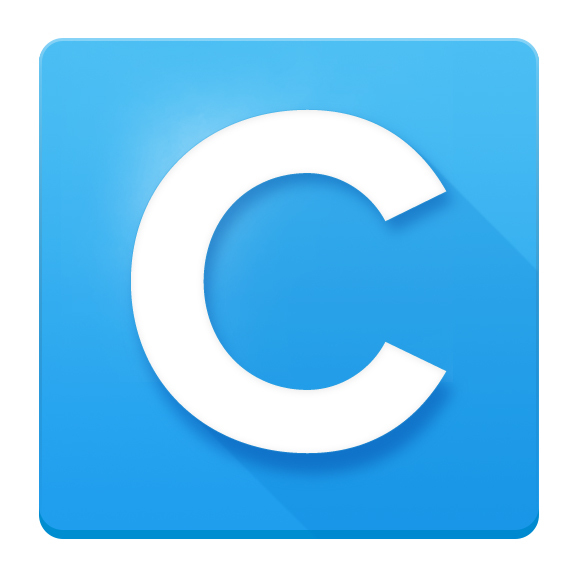 Did you see the “C” on your Chrome Browser this week? It’s Clever, and I must say it certainly is clever! This extension will store passwords for both you and your students. It will then act as a single-sign-on. Please let us know if there are any apps you would like to add to the Clever portal. We’ve even added SchoolBrains community portal. It’s nice because, on the Clever portal, the district school brains portal is automatically chosen which is the common error students and parents face when trying to log in (they don’t choose the right district). For privacy purposes, however, SchoolBrains is the only application that will not store passwords. It’s simply a shortcut. See a video here for an overview of Clever. I’m really looking forward to PLC’s next week with you, GWMMS! If anyone would like to book me, find my calendar on the Contact tab of my blog. Have a great weekend everyone! PS: Today is the last day to register for my course that I will be running through PCEA titled: Teaching and Learning with Google Applications. It’s sure to be a great time and I look forward to seeing some of you in it! Chris Alles sent me a great site this week called “Whoos Reading.” I created an account and fiddled around. At first, I thought, THIS IS TO GOOD TO BE TRUE. However, so far….it’s the catch of the day! This site boasts that it is a FREE, and improved according to them, version of Accelerated Reader. Basically, teachers set up or import classes via Google Classroom (ALWAYS CLASSROOM – YEAH!). Students then can search for any book and take a quiz. However, the quizzes are open response style, and STILL, get scored! WHAT?! I know, right?! It’s a super cute owl who gives feedback for the questions too. Students can also answer questions in an online journal WHILE reading and receive coins to upgrade their owl avatar. The site also reads aloud as well and has a speech to text option so students can dictate their answers rather than type. It is a very cute site…I’m still waiting to find the catch, so if you find it, comment below! Lauren Dalton is an amazing preschool teacher and early childhood coordinator at Central School. 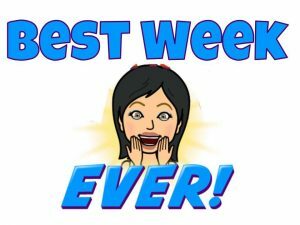 Speaking as a parent of a former student in her class, I can say she is AWESOME at sending home weekly emails and pictures to show what is happening in her classroom. This year, she wanted to find an easier way to do this. In our hunt, together, to figure out the best way we tried the extension DriveSlides (created by none other than Alice Keeler and Matt Miller). This extension is SO COOL – it will take a whole folder of images….any images….and plop the whole thing into a slideshow. You have to see it to believe it. Watch here! Communication with students and parents. Getting beyond the first pages of Google.com results. Video projects and tools for creating them. Tools for building & distributing flipped lessons. Web-based & mobile recording tools. The title above says it all! I love Eric Curts, he has so many great posts. Check this one out here – ESPECIALLY, if you are new…so many good tips!